The last TGV arriving at Lille enters Lille Flandres station at 00:18 AM everyday. It comes from Paris. Till now, when you were arriving with this TGV, it was too late to cath the subway. For only a few minutes, the last subway had gone ! Now this aberration has been removed and we appreciate it ! From now, the last subway leaves Lille Flandres station at 00:30 AM (on both lines 1 and 2, and both ways), which lets you 12 minutes after the arrival of your TGV to catch the subway. 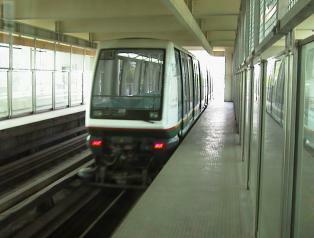 On line 1, the service lasts 10 mn longer ; on line 2, 20 minutes longer.